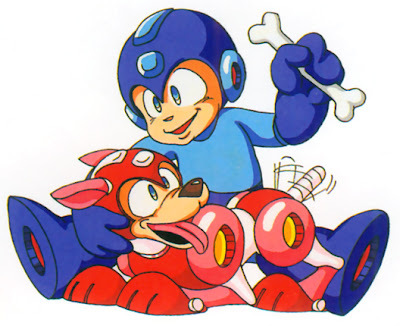 The spiritual successor to the blue bomber, Mighty No. 9, is officially headed to PlayStation 4 and Xbox One, following a successful $3,300,000 stretch goal. And that's all that needs to be said, really. Next up on our list, Vita and Nintendo 3DS versions. We can do this! "Let’s be 100% clear (caps lock on! ): THE GAME WILL NOT NECESSARILY LOOK LIKE THIS VIDEO, MOVE LIKE THIS VIDEO, OR ACT LIKE THIS VIDEO -- THIS IS A COMPLETELY ROUGH TEST ONLY, MADE IN LITERALLY ONE WEEK, USING ALL PLACEHOLDER ASSETS AND ANIMATION just to test how parts of the engine work. With no shaders, filters, or even models and key art in place yet, normally we would never show anything like this since it’s not representative of the final game at all, but in the spirit of this Kickstarter in showing how the game is made, even from the very earliest steps, we thought it would still be pretty cool to see a glimpse of Beck moving around in the engine (even if it is a placeholder Beck, moving through a placeholder level with placeholder enemies and animations!)." For a seven day project, it doesn't look too bad. But again, there's still 18 months of development ahead of us. Plenty of things will change. "Yes! We heard the feedback from our community, and at this level, we would be thrilled to fulfill this popular wish -- to add an all-new single-player level, including a boss fight, where you can play as Mighty No. 9’s heroine, Call! We agree it would be a fun addition and a great way to mix up the action, so fingers crossed we can make it this far!" Call's exclusive stage and boss clocks in at $3.7 million. The clock is ticking -- can we do it?! The Storm Unity gang are gearing up for a 24-hour Mega Man X marathon on October 12th at noon ET. They'll be blazing through all eight of the numbered Mega Man X games, aiming to raise $2,500 for Child's Play. Incentive prizes will be plentiful of course. Expect goodies from Capcom, Harmonix, Megaran, and many more! For more details, check out the marathon's official website. Two stretch goals in one day? Oh yeah, it happened. With a little push from PayPal funding, the Mighty No. 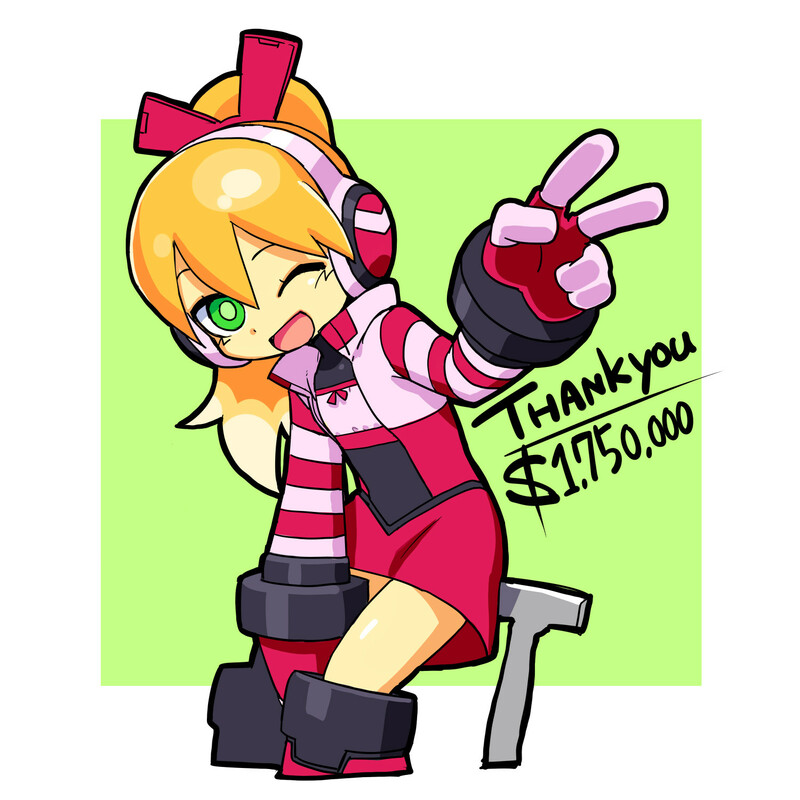 9 Kickstarter has reached its $2,900,000 stretch goal: intro stage and its accompanying boss. If you've played any of the Mega Man X games (and a few select classic series entries), you pretty much know what to expect here. Just a few more stretch goals left. 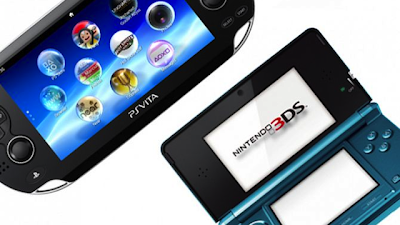 The ultimate goal right now is $3.5 million for 3DS and PlayStation Vita versions. There is a fifth stretch goal, but it remains a looming mystery. What could it be? The Mighty No. 9 Kickstarter has hit a little over $2.75 million in funding, unlocking the highly anticipated online co-op challenge mode. As one might recall, this mode has users taking control of Beck AND Call taking on a batch of remixed levels similar to the game's challenge mode. 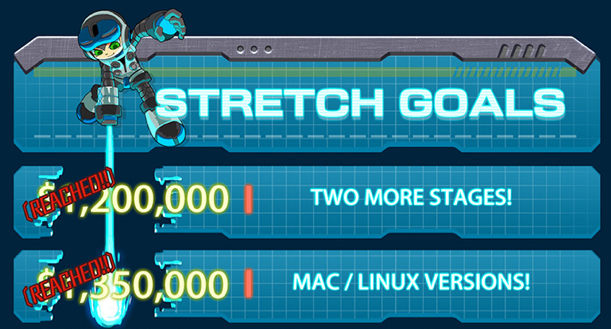 With three days remaining, there's only four stretch goals left to conquer. Next up is the intro stage and boss at $2.9 million. I'm pretty confident we can nab that... but it's going to take a pretty big push to get us to PlayStation 4, Xbox One and handheld versions. The Vote for Mighty No. 9's Heroine Design is On! At last, the Mighty No. 9 crew are giving fans the chance to vote on their favorite design for Beck's female companion, Call. There are nine different designs to vote on, each unique from one another. The choice won't be easy! Call is a female robot originally created by Dr. White’s friend, Dr. Sanda, to help assist him with his research; she somehow avoided being infected by the virus causing all the other robots to go berserk and has pledged to help Beck. Call was not imbued with the human characteristics that make Beck unique, so she’s more of a pure robot -- as you might imagine, this contrast can lead to some interesting differences and misunderstandings whenever they interact! Use this survey to submit your choice. The deadline is October 1st at 5:30 PM PST. Bear in mind, these designs have no set colors yet. This vote is strictly for the design. Coloring and the like will be shown at a later date. The results will be announced on Kickstarter, live! The news you've been waiting for is finally here. The Mighty No. 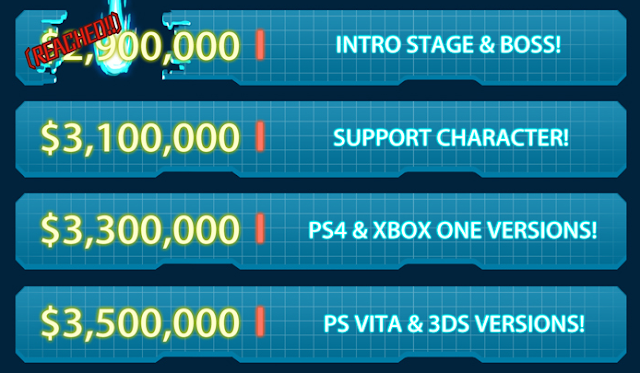 9 Kickstarter has officially announced a $3,500,000 stretch goal for PlayStation Vita and Nintendo 3DS versions. Comcept and Inti Creates are looking to partner with Abstraction Games to handle porting duties, with both versions due to hit the Nintendo eShop and PlayStation Network, respectively. Vita and 3DS versions will soon be added to the list of available systems to choose from, so every backer who is set to receive a download version of Mighty No. 9 can choose either of these as the system for their game download, instead of console or PC. In other news, the Kickstarter is now offering physical copies of the Steam PC, Mac and Linux versions of Mighty No. 9 for an additional price. Everyone who pledged $20 or above is eligible to receive the game on disc or USB. For those details, hit up today's Kickstarter update. Keep up the support, folks! Let's go the distance! According to a product listing at Rakuten and VGMdb, Capcom intends to release a 12-disc Rockman X soundtrack collection tentatively titled "Rockman X Sound BOX." It's due in Japan on December 18th, priced at 12,600 Yen (roughly $127.32 US). It would appear Devil May Cry is getting the "sound BOX" treatment, too. That one's a 4-disc set. No images or track listings at the moment. More news at it comes. The first full documentary episode of Mighty No. 9's production is here, and it's well worth the thirty minutes. 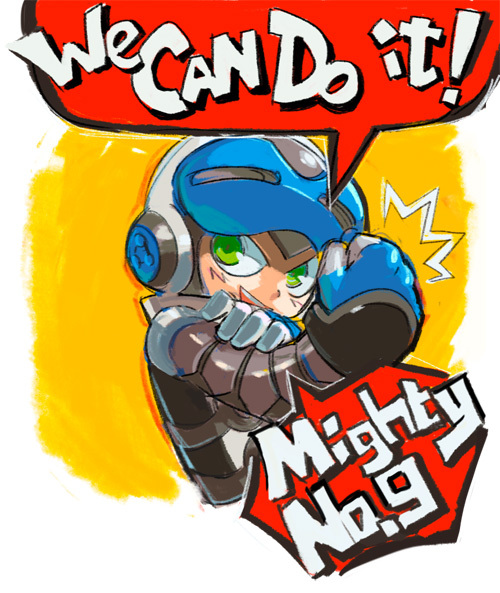 Inafune and his team discuss the essence of Mighty No. 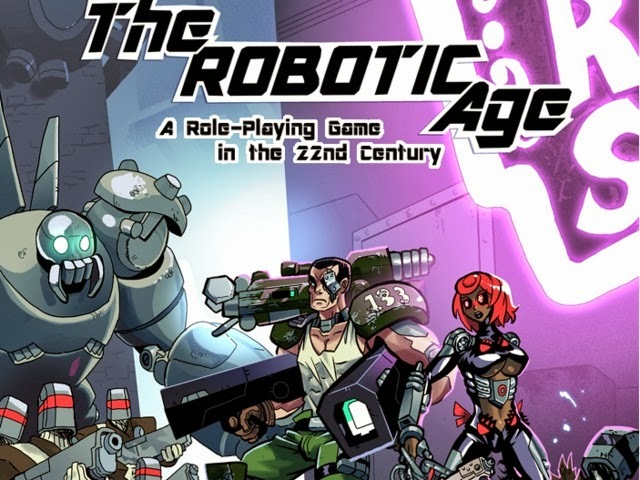 9, Kickstarter, game design philosophy, and a whole lot more. Oh, and do keep an eye out for an unannounced, sword-weilding Mighty Number. It mighty just be that red guy Inafune was talking about the other day. "We’ll be filming three MORE episodes over the course of the development of Mighty No. 9, so please think of this first "Episode 0" as a thank-you bonus for all the support you’ve given us so far!" writes 2 Player Productions. "It seemed a waste to make the big trip to Tokyo and Osaka to film the Kickstarter pitch video and not film some extra goodies while we were there, so we’ve taken that footage, along with some bits from Mighty No. 9’s surprise debut at PAX, and come up with what you’ll see here." At least three more behind-the-scenes videos by 2 Player Productions are slated to drop over the next 18 months. Look forward to it! Source: The Making of Mighty No. 9: Documentary Episode No. 0! For the final Comcept Concept Wednesday, the Mighty No. 9 Kickstarter brings us a double dose of behind-the-scenes goodness. First, we have our first look at the "xel" mascot character, tentatively called "mega-xel". This design serves as the basis for the plushie (one of the $175 pledge rewards). Cute, sure. But who or what is it? You see, "xel" is an important concept to the world of Mighty No. 9. The world "xell" (pronounced "cell") stems from the word "pixel". 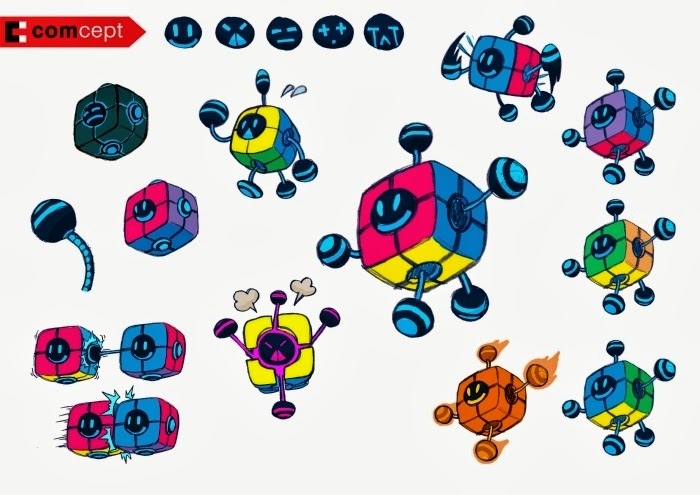 Each and every individual xel is a cube-shaped robot, and it receives orders from a central unit known as a "core." Beck, Call, the Mighty Numbers, and ordinary robots are all composed of xels! Every action a robot takes is ultimately made possible by the communal work of xels. They are what cells are to a human being, in other words. Pretty cool concept, wouldn't you say? Second, we have the doctors responsible for creating Beck and the Mighty Numbers: Dr. White, Dr. Blackwell, and Dr. Sanda. Director Koji Imaeda and his team are still hammering out what the trio will look like, so hopefully we won't have to wait too long. For more details and images, hit up today's Kickstarter update. You won't be disappointed! According to the above teaser from Jasco Games' Facebook, the officially licensed Mega Man board game Kickstarter will be launching soon. How soon? Well, I think it's safe to assume sometime around the end of Mighty No. 9's campaign. So, maybe, end of the weekend? We'll keep an ear out. 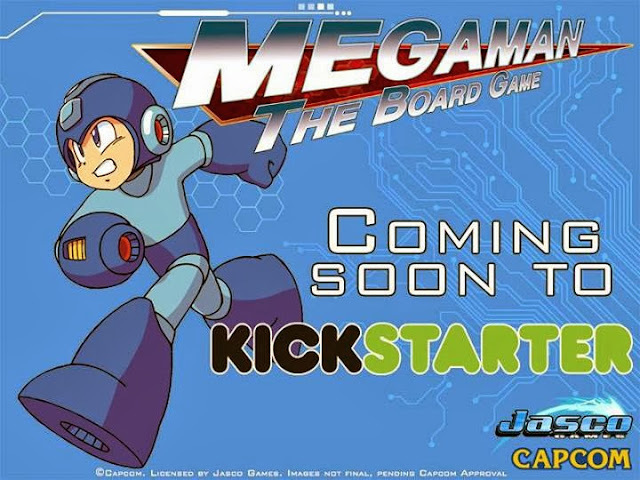 In the meantime, check out our past Mega Man board game coverage here and here. Stay tuned! 1) Jasco already has the license to develop the board game. It's a done deal. The Kickstarter is intended to provide us with a higher quality product. For example, Jasco would prefer to make a set of Mega Man player pieces with different colors and poses. Funding would help them obtain the materials/assets to make that happen. Even if the Kickstarter fails, the board game will still be made. However, fancier components like colored player pieces won't be happening. Keep in mind, Jasco is a rather small company. 2) The Kickstarter is not some last-minute retaliation against Mighty No. 9. We've known about the board game and its accompanying Kickstarter before Mighty No. 9 was announced. Matter of fact, Jasco originally wanted to launch the KS in early September. Naturally, they chose to avoid competition. 3) "Pending Capcom Approval" refers to the IMAGE in the teaser, not the whole project. It even says "Images Not Final, Pending Capcom Approval." Update 2: Jasco has put up an official FAQ about the project. Give it a read if you need additional clarity. Yes, Inafune really, really loves Zero. It should be interesting to see if any of his design elements show up in this mysterious, red Mighty No. 9 character. Duck and Cover, It's Mighty No. 8! Mighty No. 8 is this week's boss reveal from the Mighty No. 9 crew. He's a brooding hunter; a master of espionage and stealth. He's quite the sniper, too. 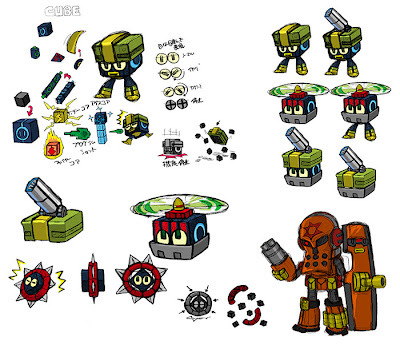 On the Kickstarter update, you can see that his design was pretty much solidified by the first drawing. 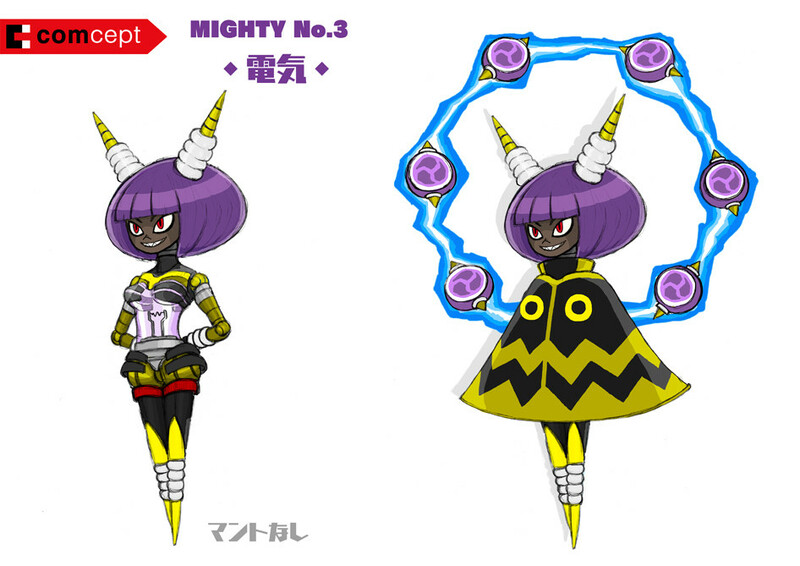 The team originally envisioned Number 8 to be the second female boss alongside Number 3. 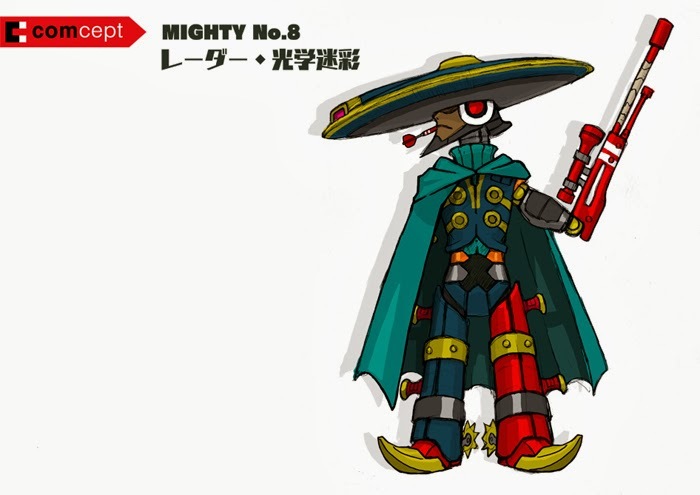 However, character designer Kimo Kimo thought Number 8's description better suited the image of a classic gunmen from an old Western flick. "I was really enamored with the idea of attaching an E-2C Hawkeye-like dish (as a hat)", writes Kimo Kimo. "He has weapons built-in all over his body -- the design even had a detachable leg cannon he could give the other Mighty Numbers to use as a bazooka!" Be sure to check out the Kickstarter update for more details and concept art! And with that, we have only two more Mighty Nos. yet to be revealed! Thanks to an additional $17,000 in PayPal funding, the Mighty No. 9 Kickstarter has rocketed to $2.4 million, allowing Challenge Mode to be achieved! This mode is said to be taking a page from New Super Mario Bros. U, wherein parts of existing levels will be remixed to create dozens of mini-missions. It's certainly bound to up the game's replay value quite a bit. So, what's next? 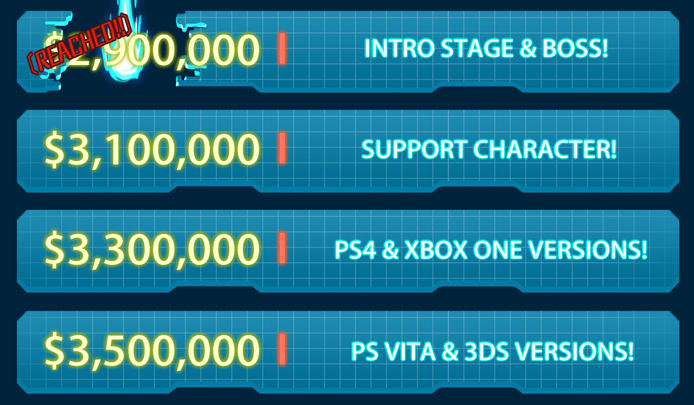 If we can hit $2.55 million, we'll unlock an extra stage and final boss. Once that goal is achieved, the MightyCast says we'll also see more details on those mystery goals (???). Keep at it, folks! The folks at 2 Player Productions are back again with another Mighty No. 9 interview. 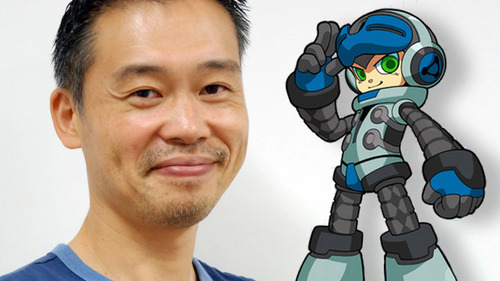 This week, it's a conversation with Keiji Inafune. Now, because he has so much to say in regards to Mighty No. 9 (the game, the characters, the fans, and so forth), the interview clocks in at a little over forty two minutes in length. It's humongous. I don't believe any of us have seen Inafune talk for this long. I haven't gotten around to consume the whole video, but from what I've seen, Inafune certainly has a few interesting things to say. Check at it out at your earliest convenience! Today's Mighty No. 9 Kickstarter update focuses on none other than the main man himself: Beck! Director Koji Imaeda and character designer Kimo Kimo bring us an in-depth look at Beck's creation, with plenty of concept art to check out. Above is only a small sampling from the pens at Inti Creates. 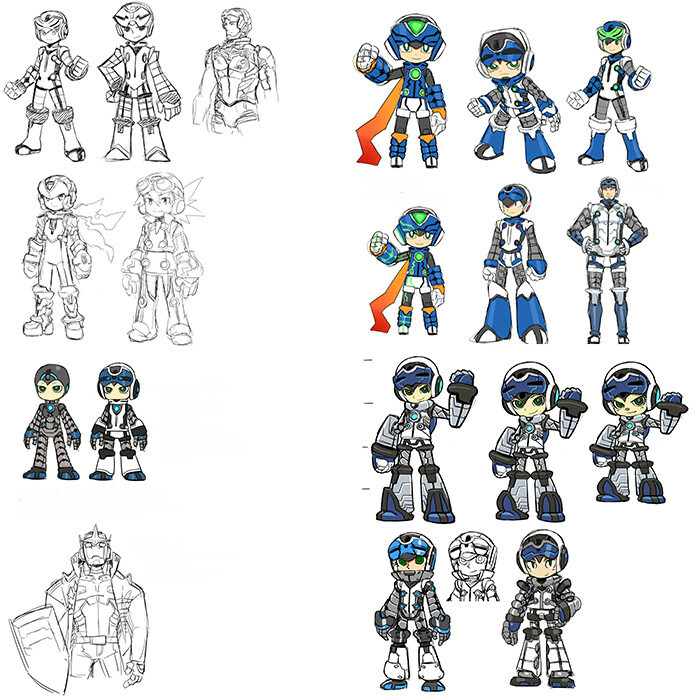 Here, we can really see the "Mega Man" in Beck's design philosophy. 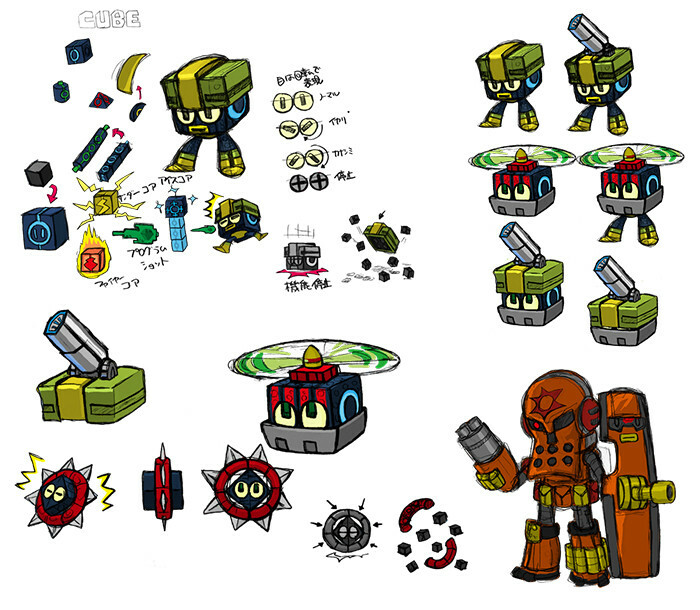 It appears a design similar to Star Force's Mega Man was once considered (complete with Omega-Xis). Among other potential designs, throwbacks to Mega Man X, Mega Man.EXE, and even Model ZX were penciled too. There's a whole lot more to take in, so please head over to today's post for the scoop! Once you scope things out, hit up the comments below. In light of these concepts, how do you feel about Beck's final design? The Game Boy Rockman games return to the Nintendo 3DS eShop, with Japan receiving Rockman World 2 next week for 400 Yen. This hopefully means World 3, World 4 and World 5 aren't too far off. Hopefully they'll be coming sooner than later. Do not forget: Brett Elston already confirmed a number of Game Boy titles for the West. Still no word on a release schedule, but we'll be keeping an ear out. According to today's Mighty No. 9 community update, the vote on the design for Call, Beck’s plucky companion, is set to kick off next Friday, September 27th. Read on for the details. We’ve been happy to see so much ongoing chatter about the upcoming vote on the design for Call, Beck’s female counterpart! After listening to community feedback and going over the idea with the commenters on our Kickstarter page, we’ve decided to make all the initial designs of Call line art -- so no coloring for now -- to remove factors like outfit appearance and hair color, etc. for the initial vote, so everyone can focus purely on which design they think is best! 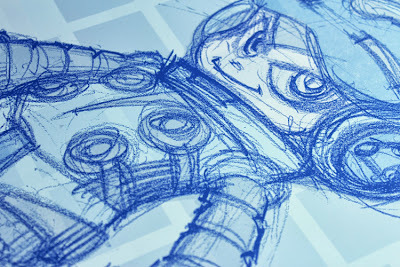 Speaking of the Call vote: Our artists are already hard at work on their designs for our community-favorite heroine! The plan is to have several for all of you to choose from, right near the end of our Kickstarter campaign, as part of our update for Friday, September 27th. (This way we can also maximize the amount of backers we can include in the vote!) Then we’ll announce the results as part of our livestream in the final hours of our Kickstarter, on the afternoon of Tuesday, October 1st! The top three designs will all go on to the next round, where they will be colored and tweaked for another vote to take place on our (then newly-opened) community forums at the end of October / early November. Goodness, we're really closing in on the home stretch! The date will be upon us before you know it. Of course, we'll be sure to remind you. For more details, hit up today's Kickstarter update. 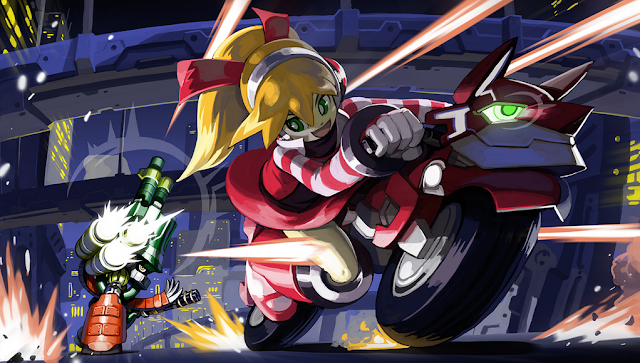 And while you're there, be sure to read up on Makoto Yabe's involvement with WayForward's Shantae: Half-Genie Hero. It's mighty interesting! It happened. We knew it would and it totally did. Today, the Mighty No. 9 Kickstarter has reached its $2.2 million goal. This milestone means that Mighty No. 9 will be coming to PlayStation 3, Xbox 360 and Wii U. Sweet, sweet victory. So now Mighty No. 9 is bound for a total of six different platforms. The addition of home consoles increases the game's potential audience greatly. That's fantastic news. And hey, if we can muster enough support for Vita and Nintendo 3DS, that would be even better. Mighty No. 9 should be available to as many different audiences as possible. Keep up the good work, folks. If you haven't done so already, hit up Kickstarter and pledge! Now, let's get that CO-OP! Meet the Electrifying Mighty No. 3! Another Monday is upon us and that means another Mighty No. 9 boss reveal. 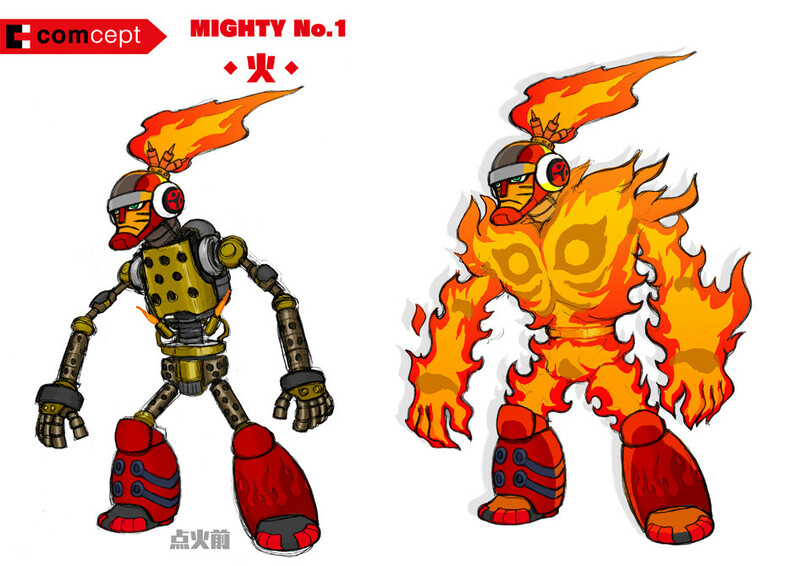 So give a warm welcome to Mighty No .3. As you've no doubt noticed, Number 3 is a female robot whose fundamental attacks involve using electricity. Much of her body is compossed of lightening rods. She can control a number of little drum conductors that can be used in a number of ways, from clinging to walls to redirecting electrical currents or acting as a shield. Her cloak is designed to resemble a vinyl umbrella. When she uses her electricity attacks, her whole body lights up and can be seen through the cloak! Personally speaking, Number 3 is my favorite boss design yet. It's a simple design with a lot of personality. As per usual, a lot of work went into her development. Check out today's Kickstarter update for more concept art and details! A rather surprising number of people have e-mailed me about the condition of their 25th anniversary Mega Man and Mega Man X 25th statue. For one reason or another, the statues are arriving broken or damaged. For example, here's Serge's -- it arrived on his doorstep with a broken arm. If this has happened to you, your best bet is to contact either Djay or double_r on Capcom Unity via private message. They will set you up with a replacement. 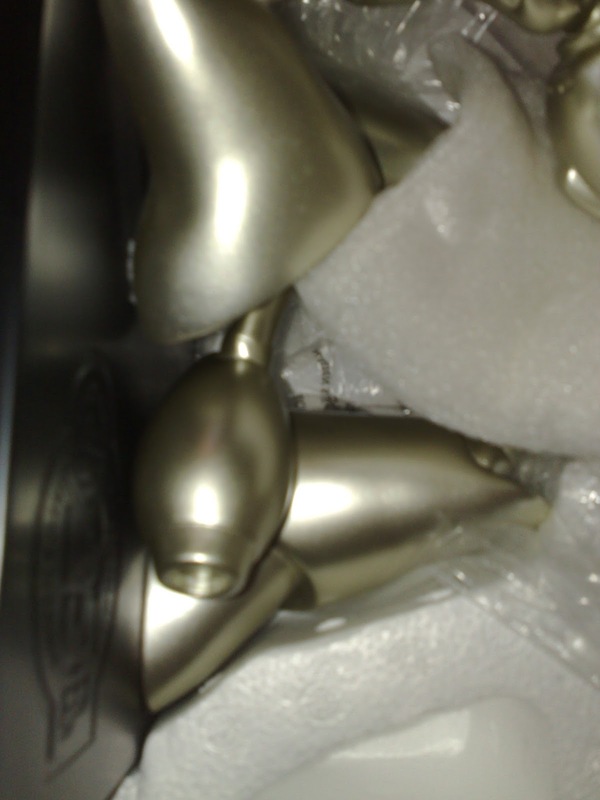 If you can, send them a couple photos of your statue's condition. That will help move the process along quicker. So sorry this happened to so many of you. Hopefully you'll get things worked out soon. If Djay or double_r passes along any additional information, be sure to let us know! 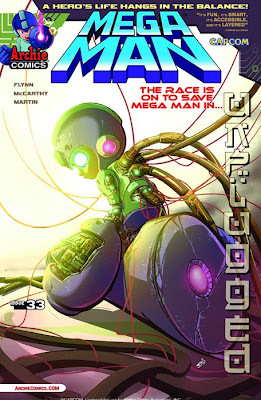 "The critically acclaimed Mega Man series continues with the dramatic, action-packed epilogue to the 'Blackout: The Curse of Ra Moon' storyline in, 'Unplugged'! The battle against the sinister alien being known as Ra Moon has ended, and Mega Man's final fate remains in doubt! With major repairs looming, and Rock's future as a super fighting robot in question, Dr. Light must work to restore our hero to his former glory. This may be a job that even Dr. Light can't handle, but at least he's got some help from his trusty pal Dr. Wily. Wait! Why on earth is the evil scientist helping to save the Blue Bomber? And how far will Dr. Wily go to remain free? 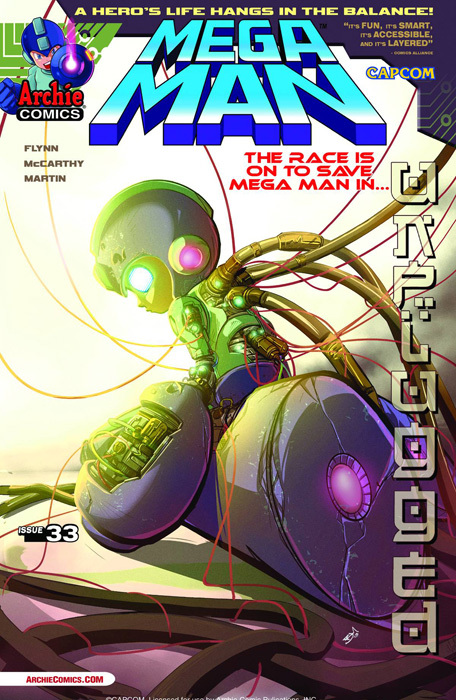 Featuring cover art from Brent McCarthy and a special variant cover from Mega Man artist supreme Patrick 'SPAZ' Spaziante!" No sign of Spaz's variant cover yet. We'll keep you posted! UPDATE: Added. Holy crap. 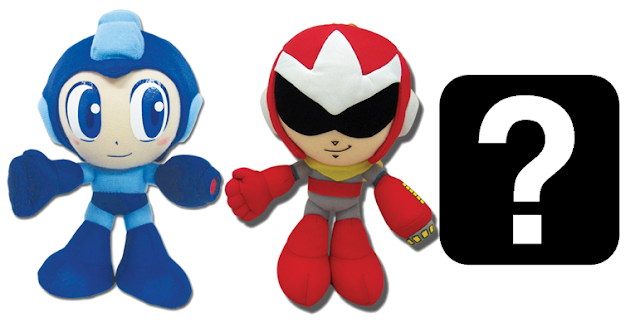 Unfortunately we do not have any plans to release a Forte/Bass plush. We went with the original trio to start off (Mega/Rock, Proto/Blues, and Rush). So, you can expect Rush to be coming soon. If they do well, then we can think about Forte/Bass as well as other characters!" Well then, here's hoping they perform well enough. GE's been on a bit of a Servbot high lately; I'd love it if they tackled one of those, too. Our little blue robot just can't catch a break. 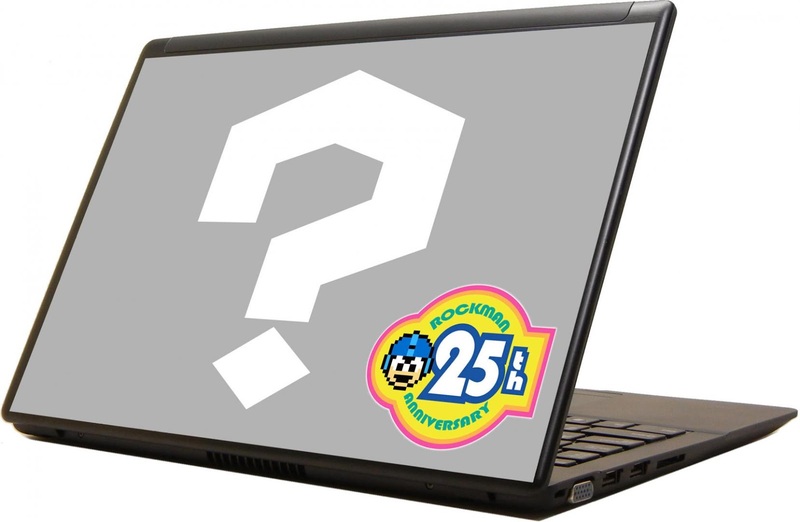 Today Rockman Unity announced the cancellation of Capcom of Japan's Rockman Ultrabook project. We actually haven't heard a peep from this thing since Spring, so... there you go. 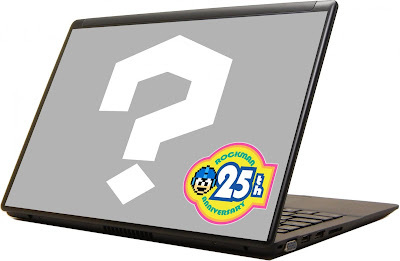 As one might recall, the Rockman Ultrabook was intended to be a Rockman-themed notebook PC released in Japan. Fans could vote on some of its features, like pre-installed desktop wallpapers and the packaging. In all, this is not a huge loss. 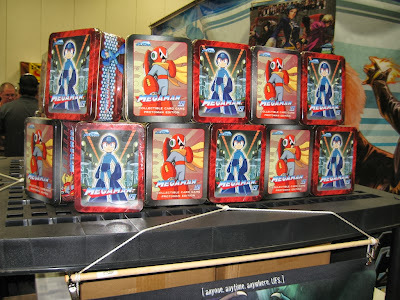 But it's another example of a Mega Man/Rockman product that got axed. These last couple years have not been kind. As part of their on-going 30th anniversary bash, Capcom has rolled out a nice helping of Twitter icons, PC and smartphone wallpapers. Characters from major franchises are represented in some form, so feel to grab one of your favorites here. 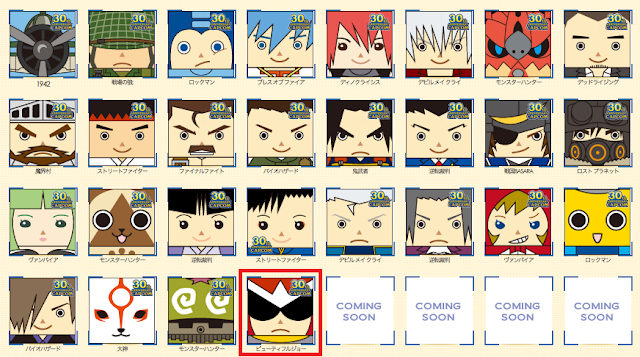 Oh, the Viewtiful Joe thing? It's funny. See, whoever put this stuff together mislabeled Proto Man's caption as "Viewitful Joe." To that person's defense, the characters do share a passing similarity (red/white helmet, "shades"). Then again, you work for Capcom. I think you should probably know the difference. It's an amusing little mix-up, though perhaps not as grand as the stuff on Capcpom's lists of retail mishaps and spelling errors. Taking a break from boss designs, the Might No. 9 Kickstarter brings us a peek at some of the common foot soldiers. These are work-in-progress, so none of these baddies are confirmed to appear in the game yet. If you like what you see, be sure to let the team know! Above is just a small sampling of a whole batch of enemy concepts. For the rest, I implore you to check out today's update. 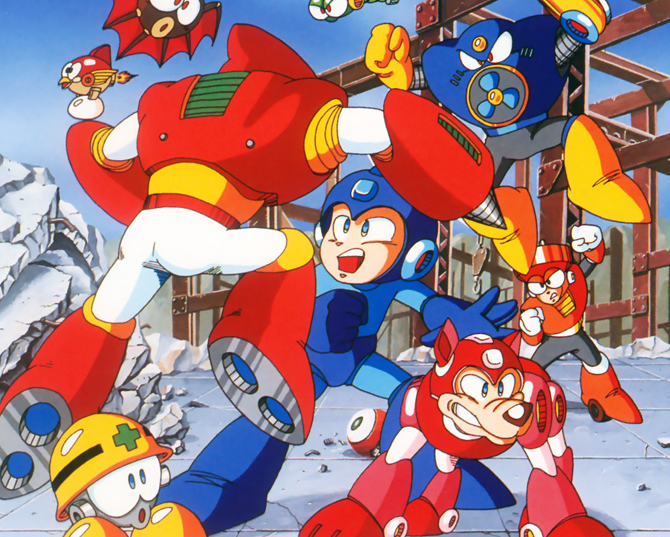 There's a lot of Mega Man in these guys! According to a handful of Rockman Corner readers, the limited edition 25th anniversary silver statue of Mega Man and Mega Man X is now shipping. As one might remember, only about 1,000 of these were produced. If you preordered yours, be sure to keep an eye on that mailbox over the next few days. 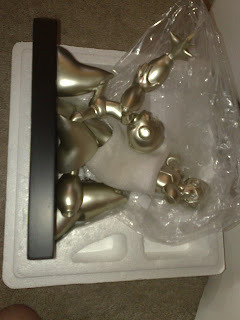 Until then, Rock Miyabi has sent in some photos (wait till you see the packaging). Check them out after the break! 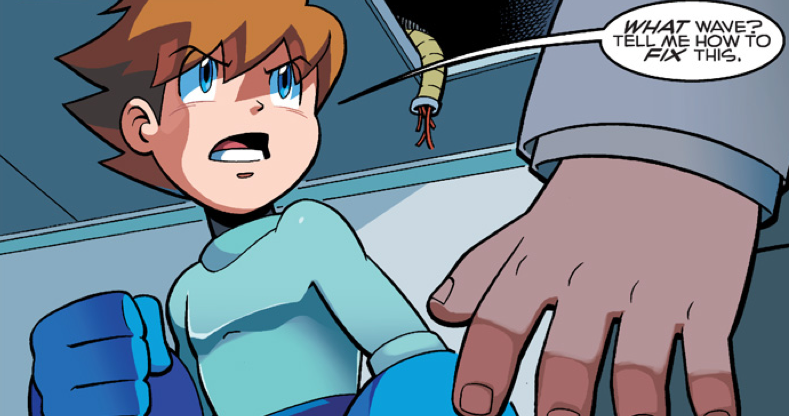 If you’ve got a hankering for some Archie Mega Man, you can check out Destructoid for a preview of this month’s issue. In addition to the usual sample pages, Destructoid's also obtained a nice batch of line art Mike Cavallaro. Cavellaro, who will be handling the art for the next four issues, is a seasoned industry pro, having worked closely with the folks at DC Comics to IDW. What's more, he's served as a background colorist in cartoons such as Codename: Kids Next Door and Batman: The Brave and the Bold. Issue #29 kicks off a brand new story arc entitled "Blackout: The Curse of Ra Moon." The issue will go sale in shops starting tomorrow. We've got a nice batch of Might No. 9 news today. First off, a new boss has been revealed: Mighty No. 1. The theme going on here is fire and lots of it. He may look big upon first glance, but No. 1 is actually very thin. The flames are extremely dangerous to Beck, so hit him when they go out. $2 Million: Boss Rush Mode -- a separate mode where you can challenge all the bosses in the game, back-to-back, and clock your best times. $2.4 Million: Challenge Mode -- Similar to the challenge mode in New Super Mario Bros. U, this mode will remix parts of existing levels and enemies to create dozens of mini-missions. 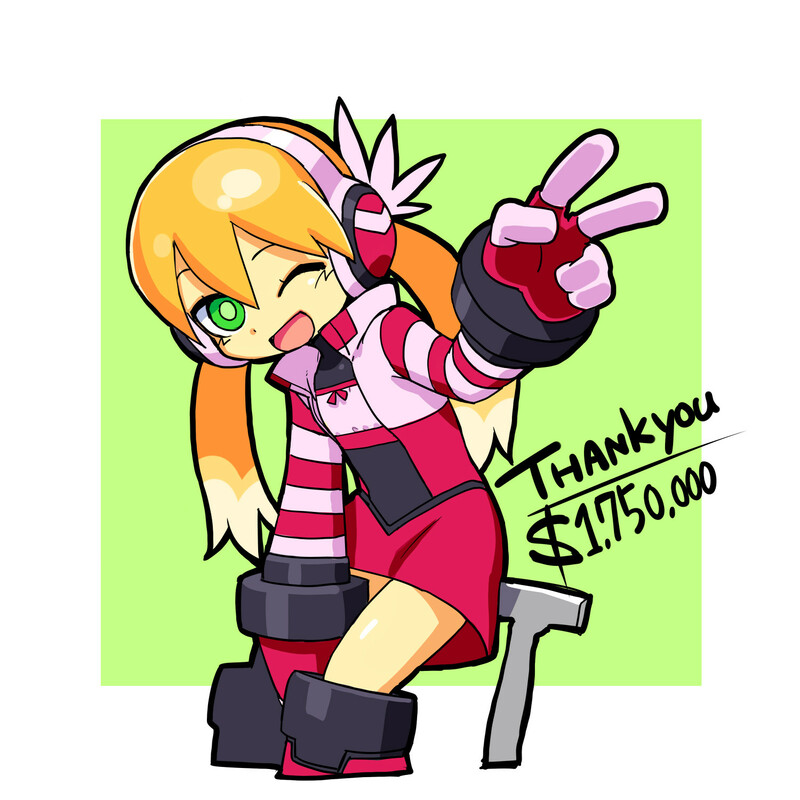 $2.55 Million: Extra End Stage and Boss -- Adds an additional stage with an original boss to the final area Beck takes after defeating all eight Mighty No. bosses. $2.75 Million: Beck and Call Online Co-Op Challenge Mode -- This one is pretty awesome. It's an online mode where you and a friend tackle over a dozen missions. One player is Beck, the other is Call! These missions feature remixed stages with a heavy focus on cooperative play. Players will need to properly utilize Beck and Call's unique powers to conquer these special stages. $3.3 Million: PS4 and Xbox One Versions -- Self explanatory. 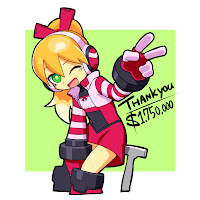 If the team reaches this much funding, the game will hit both consoles (backers can even add the PS4 and Xbox One as a choice for their digital version of the game to choose from). And that's all there is today. For some of the finer details, head over to today's Kickstarter update. As always, let the team know what you think. They are listening! Want some more official Mighty No. 9 artwork? Sure ya do! To commemorate the recent $1.75 million milestone, the folks at Inti Creates whipped up these delightful pieces. On the left we have our main man Beck, and two variations of Call right next to him. Click the thumbs above and enjoy. 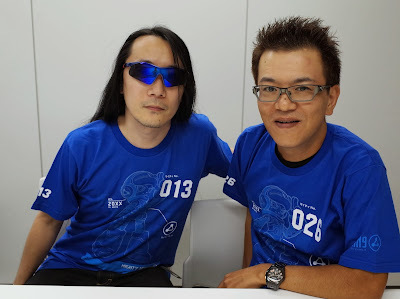 Speaking of Call, Mr. Koji Imaeda, who serves as the game's director, says the team are hard at developing her so they can have a nice set of options for us to vote on. In the meantime, if you liked any of the designs show previously, let the team know (via Twitter or Kickstarter directly) and perhaps they can polish it up to be included in the vote as well. So this is pretty neat. Among several topics discussed in Destructoid's interview with Keiji Inafune, the former Capcom producer revealed the origin of his early nickname, "Inafking", as well as Rush's name. As a matter of fact, the latter has nothing to do with the band of the same name! "There was a series called Moomin. It was an older series from a long time ago, and there was a character named 'Snufkin' in it that's this cool character. So 'Snufkin' and 'Inafking,' they're kind of like, oh, we're both these cool characters, this is how I like it! "Back then, of course, all the more talented programmers, artists, etc. could have been headhunted, so the one internal rule was you have to come up with a name that is different enough that people won't know what your real name is. So long as you fulfill that criteria, you can be as crazy as anything, so everyone just went crazy and made whatever name they wanted to." "I'm sorry to disappoint the fans, but actually Rush was not based on the band, Rush was based on a Capcom game called Rush & Crash [known as The Speed Rumbler outside of Japan -- Tony] that I really liked. Actually, the word 'Rush' sounds kind of like 'Lassie' [pronounced 'Rasshu' and 'Rasshi']. Back then, Lassie was a very popular movie about a dog, of course, so it just fit as far as the phonetic flow of the word." Time to update those Wiki pages, I guess. Hit up Destructoid for the complete interview! Can you believe it's almost been a full week since Mighty No. 9's debut? Crazy, I know. In commemoration, here's the complete PAX Prime panel recorded by 2 Player Productions. The best part? We get to see and hear the audience's reaction. It must have been amazing to be there in person! The Video Game Memorabilia Museum sends word on a whole batch of Capcom 30th anniversary goods coming down the pike. 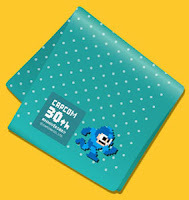 We've got a very artsy Mega Man handkerchief, an acrylic pixelated Mega Man keychain, Ryu keychain, or Gargoyle, all up on AmiAmi for pre-order. 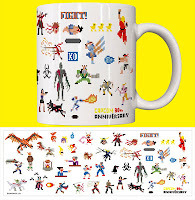 There are also mugs, shirts, and iPhone covers adorned with Capcom characters, and puzzles based on classic Famicom box art. You can view all that AmiAmi has right here. Just search "Capcom"! I don't know about you, but I'm definetly grabbing one of those mugs! I think all of us have engaged in this debate at one time or another: "If X and Y met, who would win in a fight?" Batman vs. Superman, Godzilla vs. Gamera, Twinkies vs. Cloud Cakes. The list goes on. Now that Mighty No. 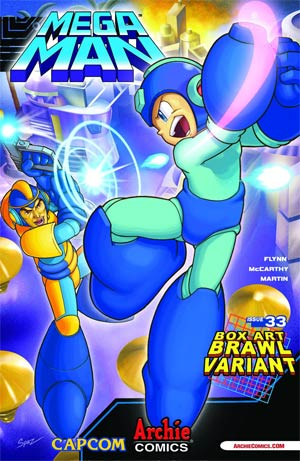 9 is a thing, we've naturally begun to imagine who'd come out on top if Mega Man (classic) and Beck duked it out. Well, what do you think? Agree, disagree? I think I'll be taking a rain check until we see a little bit more of Beck in action. Sorry, Inafune. For more Mighty No. 9 talk from Inafune, read up on Kotaku's in-depth interview. Mighty No. 5 Blasts Onto the Scene! The Mighty No. 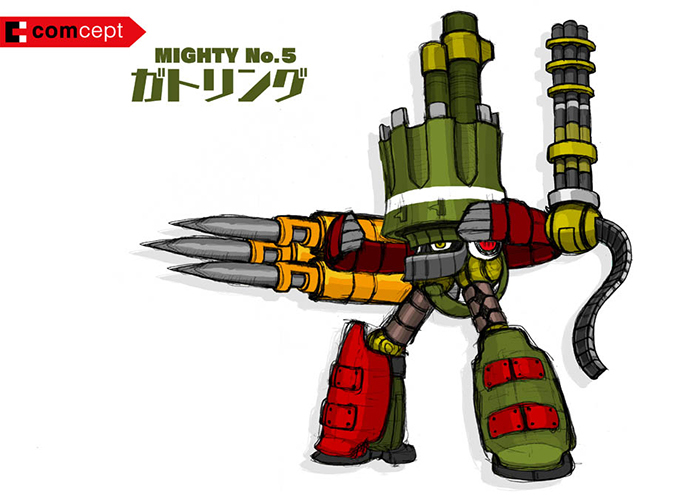 9 Kickstarter has pulled the wraps off of a previously unseen boss: Mighty No. 5. Number 5 (not to be confused with this guy) sports a military motif utilizing heavy artillery. He's big, heavy, and means business. Just look at all those guns! Additionally, director Koji Imaeda brings a behind-the-scenes look at Number 5's development. You can read all about it right here. There's plenty of concept art to see, so do give it a look at your earliest convenience. Also of note, Comcept promises new boss reveals every Monday. Number 5 was meant to be shown earlier this week, but with the holiday and excitement surrounding the campaign hitting its initial goal, they thought it would be better to hold the big guy back. Head over here for all the details! Hot on the heels of yet another successful milestone (New Game Plus and Turbo Mode), the Mighty No. 9 Kickstarter stretch goals have been reorganized to the benefit of prospective home console versions. The making-of-documentary has been bumped to the $1,750,000 goal, and $2,200,000 is the new goal for dropping Mighty No. 9 on PlayStation 3, Xbox 360 and Wii U. The mystery goals, meanwhile, were shifted after the documentary and console versions. The team explains, "We realized the other stretch goals we had planned would be more welcomed after this overriding priority, where they wouldn't pale so much in comparison." You can read the full post here for the complete details. I think it's safe to say we'll have the console versions nailed down around this time next week (if not sooner). Q: Will you / can you / please make a PS Vita / 3DS version of Mighty No. 9?! Q: Are these your final set of stretch goals? Do they stop at $2.5 million? All in all, exciting and promising stuff. Again, there's more to read here so check it out! If you missed the news earlier today, the Mighty No. 9 Kickstarter has reached its second stretch goal of $1,350,000, promising Mac and Linux versions of the game. This is great news for fans who prefer those operating systems, and it brings us once step closer to that sweet, sweet $2.5 million goal. As a reminder, other platforms beyond PS3, 360 and Wii U are a possibility. Even though Nintendo 3DS and PlayStation Vita versions are probably more likely than PS4/Xbox One, Comcept must reach certain stretch goals first. Additional ports require more resources, after all. Keep fighting the good fight and pledge! Let's face it: Mighty No. 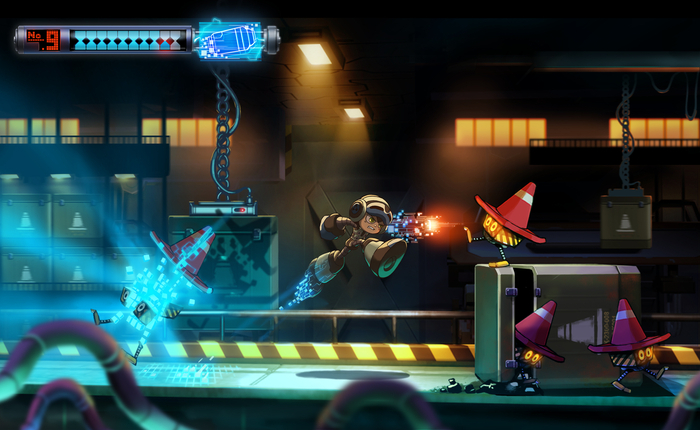 9 is pretty much a Mega Man game. 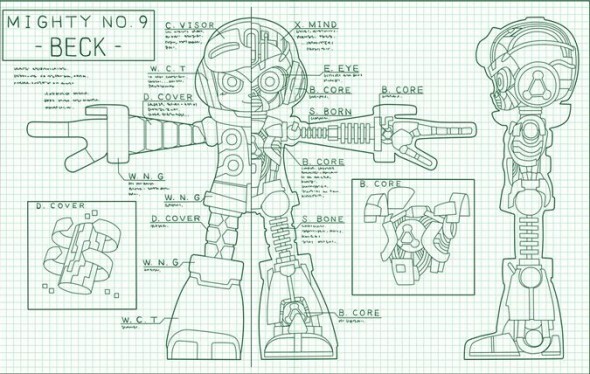 So to that end, GamesRadar compiled a very handy list of the many similarities between Keiji Inafune's two robot heroes. "At no point in the Kickstarter pitch do they come out and say that Mega Man is the inspiration--they simply refer to Mighty No. 9 as an "all-new Japanese side-scrolling action game that takes the best aspects of the 8- and 16-bit era classics," writes GamesRadar's Henry Gilbert. "But the connections are easy for any Mega-fan to make. In case you missed some of the more subtle ones, we’ve compiled this handy list." You can check out the ten ways Mighty No. 9 relates to Mega Man here. As we learn more about the game, there's no telling just how much the list could grow! 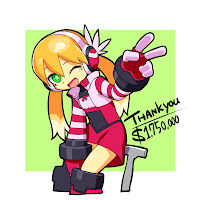 In response to the Kickstarter being funded and reaching its first stretch goal, Keiji Inafune has made a short video thanking those who have helped Mighty No. 9 reach its goal. 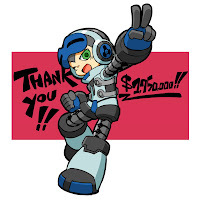 The project begun in secrecy just four months ago, and Inafune shares that he is overwhelmed by support from his fans. In addition, the Mighty No. 9 team will be posting a "Communi-Tuesday" update later this evening, which features fan art, an FAQ answering common questions, and ideas on new reward tiers based on fan feedback. Hey, sounds good to me! Now that Mighty No. 9 has passed the $900K funding goal, we're looking ahead to its numerous stretch goals, one of which being console ports for PS3, Xbox 360 and Wii U at $2.5 million. But what about the impending PlayStation 4 and Microsoft's Xbox One? Wouldn't it be ideal to port the PC version to those consoles? After all, both machines built on on x86 PC architecture. 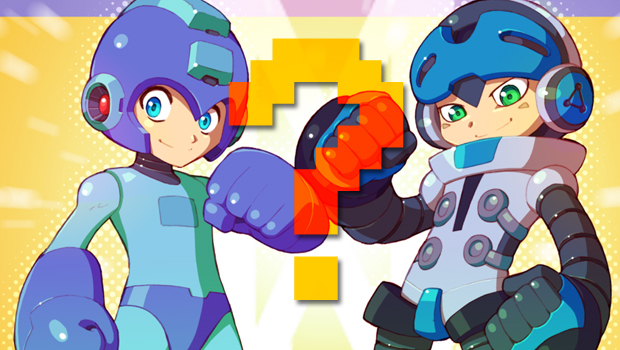 Keiji Inafune fielded this very question in an interview with Joystiq. He explains, "One of the clearest reasons is that the developer, who is developing the core of the production, is Inti Creates, and they're not familiar with next-gen." He adds, "So with trying to learn that technology, with trying to understand a new piece of hardware, to get a new development kit, all of that comes with it an associated cost and all of that makes the stretch goal a lot more expensive." 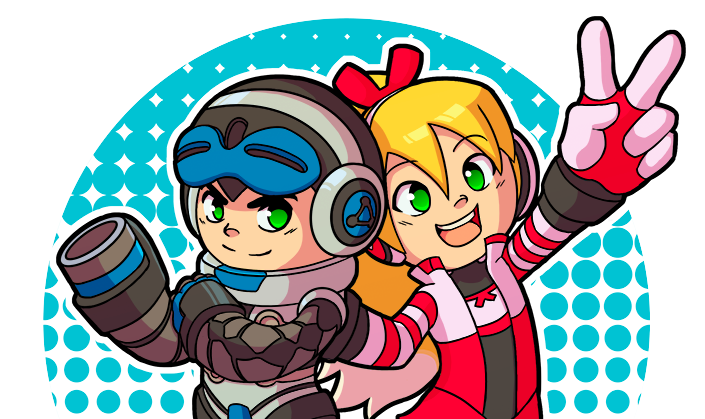 Inafune has a few other things to say on the subject, so do give Joystiq's post a read. Furthermore, we have some interesting tweets to share regarding a possible Nintendo 3DS port too. Hit that jump below! These last two days have been a ride. It's been compelling, sitting here just watching the numbers increase. And now, as of this morning, Comcept's Mighty No. 9 has crossed its $900,000 goal. Given that the campaign launched not even two days, this is an incredible feat. Our haste is a true testament to Inafune and his colleagues. Make no mistake: this is a game we want. This is a character, a world, we want to behold. Well done. So what happens next? Simple: keep going. There's a whole list of stretch goals to tackle. We've got a lot of ground to cover there, but I think all of us are interested in what happens at 2.5 million -- home console versions. PS3, Xbox 360 and WiiU, to be specific. It's a big undertaking, but I believe it can happen. The passion from the community has brought us this far in such a short period of time. Keep the momentum up and we'll go the distance. 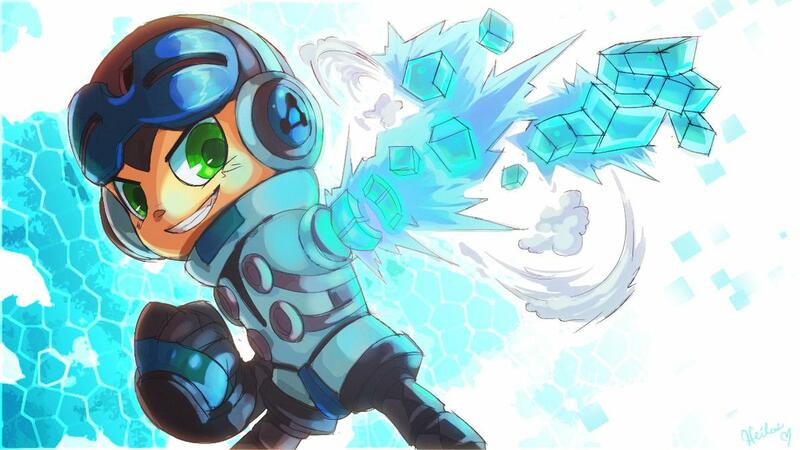 Inafune Says Capcom Hasn't Responded to "Mighty No. 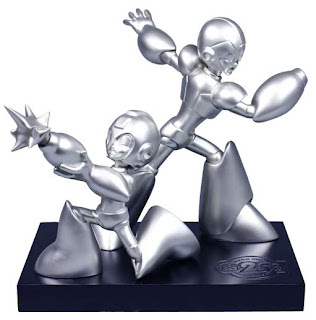 9"
The resemblance between Mega Man and Keiji Inafune's Mighty No. 9, as some have already pointed out, is the sort of thing two companies go to court over. These are battles waged in practically every industry, after all. But in an interview conducted with Kotaku this morning, Keiji Inafune said Capcom has not been in touch with his company, Comcept. Not yet, at least. "We haven't heard anything from Capcom at this point. If it turns into a legal battle, then obviously it'll be lawyers that hash out what the solutions are. 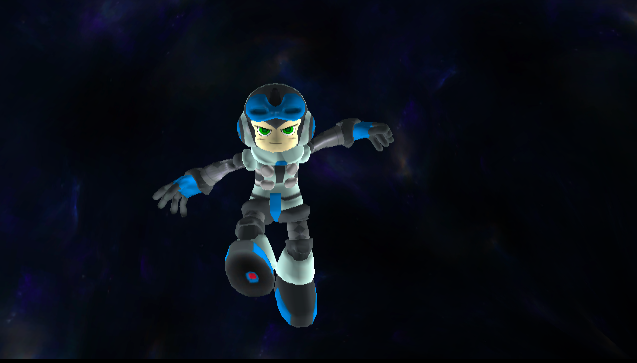 However, from my perspective, Mega Man is something that I created. It would be like having a child, then having somebody adopt that child and then saying that child isn't really yours. That child has your DNA in it, no matter what anybody says. So, since my style, my spirit isn't something that I can't change as a human being, if I create anything and it's something that looks like [Mega Man], well, it was created by the same person, me. To say that Mighty No. 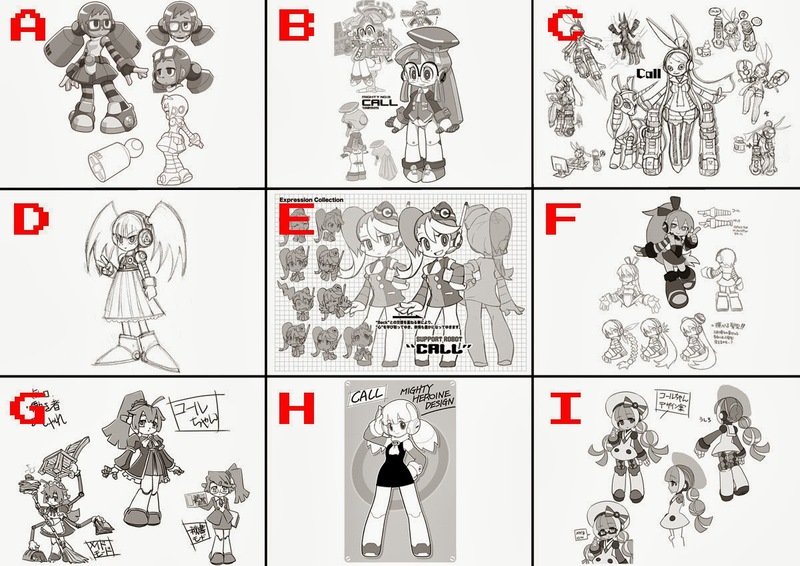 9 looks like Mega Man is to say that my work looks like my work. But we have been careful. The base gameplay is not the same as Mega Man. The naming, the character, all that is not the same. The details are very different. Personally, I've gone out of my way to make sure that this is something original. And if Capcom does come back and say something, I would be surprised." Hard to say what could happen from here. After all, the Kickstarter just launched yesterday. I suppose we'll just have to wait and see if anything plays out. Naturally, we'll keep you posted!